Looking for an alternative to the Thanksgiving Service? 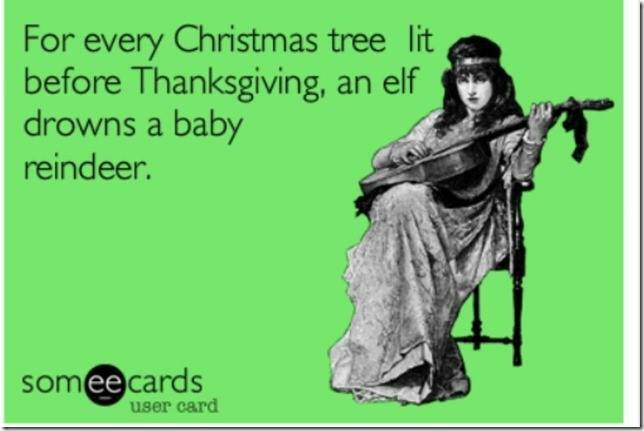 We are hosting family over the Thanksgiving holiday this year so I will leave you with links to last years thoughts, which I feel still hold true, and an e-card which amused me greatly. Everyone, get off your computer and go spend Thanksgiving with people you care about. While I take issue with most of Christian Science and how it is practiced today, I feel that Ms. Eddy was right to have a special Thanksgiving Service. There is no “special” Christmas service, or Easter service, but there is a special Thanksgiving Service. I used to enjoy the Thanksgiving services. When I was younger it was the only time I, and the other under-20s, was allowed in the main edifice, and it was often the reason for a new winter dress. There was singing, everyone attended, and without fail my father would stand up and give a testimony that caused my sister and I to sink lower into the pews and wish the floor would swallow us whole. Although I will be carefully avoiding the CS Thanksgiving service this year, I am thankful there is still a place where people can gather with their fellow church members and express gratitude. *except for some of the testimonies, those can be rather far-out sometimes. There is a holiday between Halloween and Christmas, a time for reflection and giving thanks for what we ALREADY HAVE. Sadly, it has been turned into the kick-off event (literally, there are tons of football games) for the biggest, nastiest shopping day of the year. If you open on “midnight” on Black Friday I’m not shopping at you either. Christmas “music” before Thanksgiving has to stop as well. My husband worked retail for many years and until about a year ago (a good 8-10 years post-retail drudgery) he was unable to listen to holiday music at all, even a trip to the grocery store was torturous for him as they blasted canned holiday muzak from all corners. 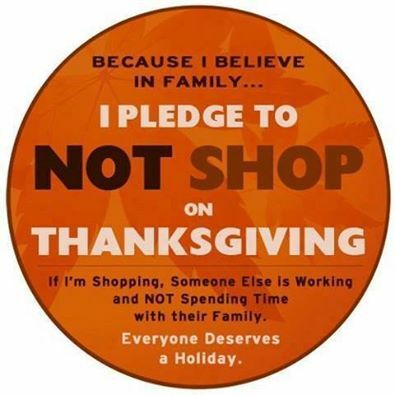 Thanksgiving has been buried by the constant bombardment and emphasis on “sales” “deals” “steals” “bargains” and other such blatant consumerism. I know that the historical roots of Thanksgiving have been white-washed, but I don’t see anything wrong with setting side one day a year to be thankful, to sit down with family and/or friends. ONE DAY for everyone (including retail employees) to take a break from the preChristmas madness and consumerism to be decent to our fellow humankind. Is that really too much to ask?